Art-pop: “progressive rock without the rock attitude”, explains Marek Arnold when I question him further. 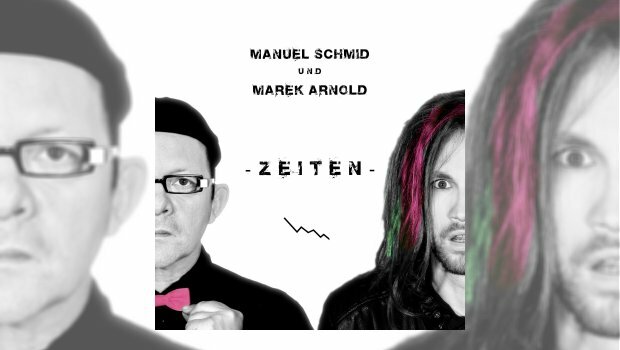 The instrumentation and the way the songs have been arranged, combined with Manuel Schmid’s interpretation and singing of the lyrics inclines it toward being pop. Yet the heartlands of progressive rock, with its complex chord progressions and unusual sequences, are clearly present and firmly incline it toward being prog. Definitely not ‘Schlager’, he is quick to point out. Art-pop it is. And you know what? They can call Zeiten – or ‘Times’ – whatever they like. A more graceful, elegant and thoroughly enjoyable album you are unlikely to hear for quite some time. When you strip away the ‘rock attitude’, what shines through is a stylish simplicity and absorbing finesse which is utterly enthralling in the clarity and the transparency of the music you are hearing. Manuel Schmid’s exquisitely nuanced vocals are an absolute delight. Without having to share or contend with the usual assortment of instruments, the delicacy as well as the force of his vocals are crystal clear in the soundstage. The success or otherwise of this album in large part rests on the purity and the suggestive poise of Schmid’s voice – usually framed in fluid contrast against Arnold’s assured and busy keyboards – to carry the full weight of both the meaning and the melody of each song. Opening track Doch Dann Dreht Sich Die Welt (‘But Then The World Turns’) is striking proof right from the outset of the refined and discerning sensitivities he demonstrably brings. The flow and momentum of the piece is set by the wonderfully rippling keyboards, creating the gentle spaces within which Schmid’s expressive melody flourishes and develops. The progressive crescendo features a blistering sax solo from Arnold which effortlessly surges from the passionate lyrics and lends a playful, jazzy feel to the song. Irgendwann – ‘Sometimes’ – is a beautifully silky, smoky smooth change of pace, the vocal emotionally striking and dramatic, nestled in keys that are the perfect example of thoughtful restraint but with clever saxophone interjections filling the spaces where needed. The guitar solo toward the end brings a vivid release to the slow burning crescendo which has been building throughout. The artistic diversity in style, structure and mood of the songs on the album is refreshing and if a large part of its success rests on Manuel’s vocals then an equal measure of success lies in the riveting musicianship of Marek Arnold. Probably known to most in the prog world for his work with his bands Toxic Smile, Seven Steps to the Green Door, Cyril and his involvement with Damanek and Southern Empire, Zeiten is a further revelation of the musical innovation and creativity of which he seems to be effortlessly capable. The songs on Zeiten are a fascinating mixture of material drawn from Toxic Smile (five songs), Cyril (one song) and two new songs. All the titles have undergone German-language revision, whilst the arrangements have all been completely revised and reworked in keeping with the vision and direction of the album. If you are familiar with these bands, then the achievement of taking material which has a distinctive historical feel and identity and transforming it into something genuinely new and vibrant as part of a significant shift in musical context is phenomenal. Diese Zeit – ‘This Time’ – is a touching example of how the pair let their musical instincts intertwine and overlap to produce a reworked Cyril song which is unmistakably modern in its sensibilities yet refined and captivating in the way they interact with each other. Album closer Stiller Schrei – ‘Silent Scream’ – brings an additional surprise in the form of an engrossing orchestral arrangement which adds a further layer of texture and superbly contrasts with the flow and momentum of the vocals and the music. Zeiten is an accomplished and thoughtful hymn to the mood of the times which pays careful attention to not letting go of the past even while it looks to embrace contemporary moods and influences. On the strength of the sheer amount of time I have already spent with this album, I am more than happy to confess to being thoroughly enamoured with the art-pop project. Oh – and in a playful tease to the cinematic trend so favoured by Marvel at the end of their films, just when you think the album is over, let it continue playing. And playing. There are four radio edit tracks to enjoy!